A former scientist for the federal government is fighting to get her job back after the Department of Justice dropped charges alleging that she was spy for the Chinese government. Xiafen “Sherry” Chen is scheduled to be in court Tuesday and Wednesday, arguing to be reinstated as a hydrologist for the U.S. National Weather Service after being accused of spying for China in 2014. After an investigation, the charges against her were dropped in March 2015 — a week before trial — with little explanation. "We are exercising our prosecutorial discretion," a spokesperson for the U.S. attorney said at the time. But in September 2015, Chen received a termination letter dismissing her from work. The U.S. Merit Systems Protection Board — the agency that hears employment-related appeals by federal employees — will hold a public hearing in Cincinnati, Ohio. 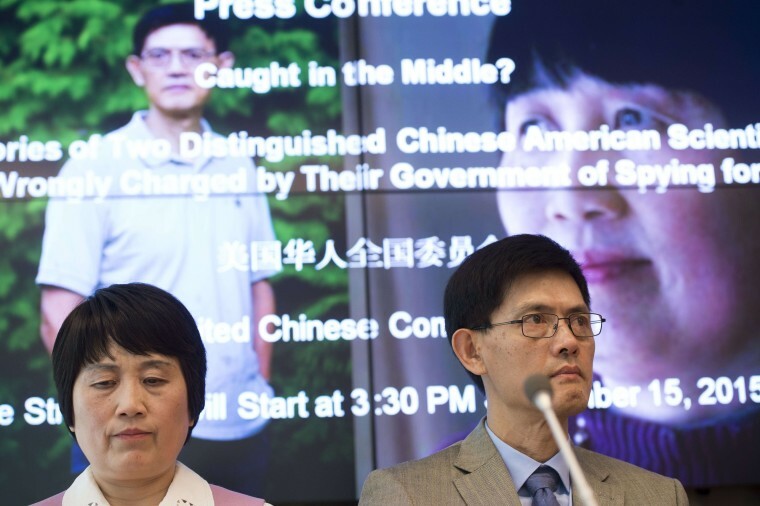 “[Sherry Chen] has been courageous in continuing to fight and seek fairness and justice against a system that first wrongfully accused her of betraying her country without credible evidence and proof of intent, and then wrongfully terminated her from a job [in which] she actually protects American lives and properties for the same made-up justifications,” Jeremy Wu, a trustee of the Sherry Chen Legal Defense Fund, told NBC News. Chen declined to comment pending the hearing. Concerned that race may have been a motivating factor in the spying allegations, several Asian-American leaders and advocacy organizations — including the Congressional Asian Pacific American Caucus, Committee of 100, and Asian Americans Advancing Justice — have called for an investigation into Justice Department practices. Supporters organized by the Ohio Chinese American Association plan to rally in front of the federal courthouse in Cincinnati, Ohio, on both Tuesday and Wednesday, with speakers coming from across the country to show support for Chen and to attend the public hearing. Supporters said they hope that, in the short term, the protection board will restore Chen's employment and right any financial and mental anguish she may have suffered, adding that there will be more work to do.